Get the Green Carpet treatment! 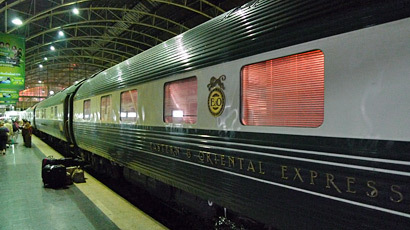 The Eastern & Oriental Express at Bangkok. 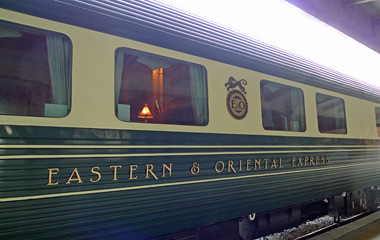 What is the Eastern & Oriental Express? 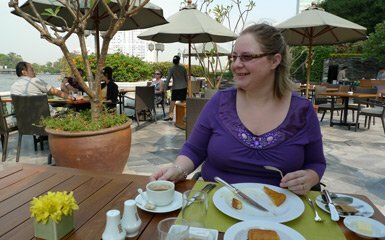 Singapore to Bangkok once or twice each month from March to December. Journey 2 nights, 3 days. 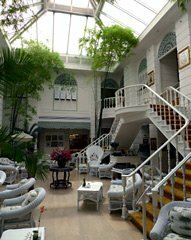 Includes a brief tour of Kuala Kangsar and a visit to the Bridge on the River Kwai. 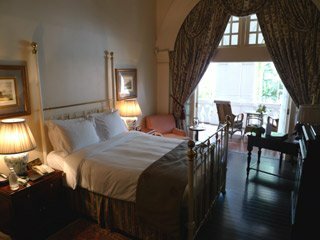 Bangkok to Singapore once or twice each month, February to December. Journey 3 nights, 4 days. 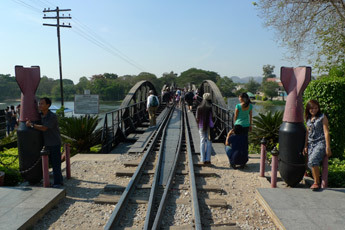 Includes a visit to the Bridge on the River Kwai and a brief tour of Kuala Kangsar. Prices start at around $3,100 per person for two people sharing or $5,440 for solo travellers, including private sleeper, tours and meals but excluding drinks. 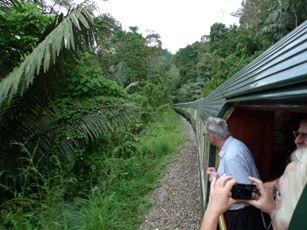 The train also runs occasional rail cruises for 3 or 6 nights, including Bangkok-Vientiane (Tales of Laos), Bangkok-Chiang Mai, and longer, more extensive Singapore-Bangkok itineraries. The E&O is the luxury option. For scheduled daily trains linking Singapore, Kuala Lumpur, Penang & Bangkok, see the Malaysia page & Thailand page. 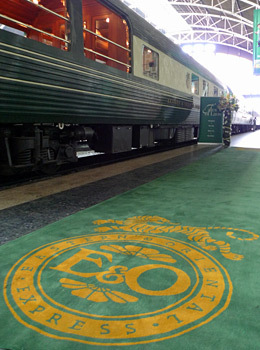 Fully air-conditioned with all the facilities of a luxury 5 star hotel, the Eastern & Oriental Express was created in 1992 by Orient Express Trains, the same people who have run the superb Venice Simplon Orient Express since 1982. 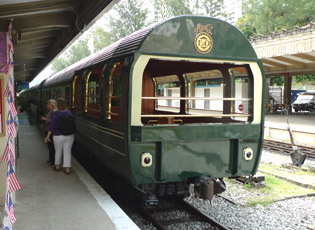 The train uses Japanese-built coaches which were originally used for the short-lived Silver Star sleeper service from Auckland to Wellington in New Zealand (1972-1979). The cars have been totally rebuilt internally for the modern cruise train market, to luxury standards with en suites to every compartment. 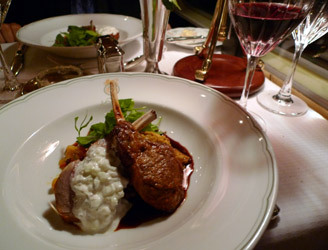 You'll find both the train itself and its staff truly excellent. 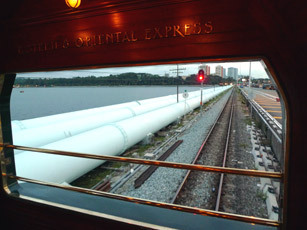 The Eastern & Oriental Express is all non-smoking, although smokers can smoke in the open-air observation car at the rear of the train. Which type of sleeper to choose? Option 1: Pullmans. The least expensive accommodation on the E&O. 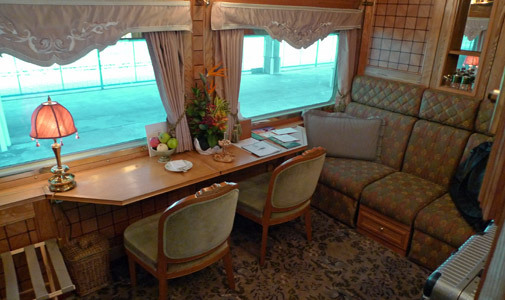 A cosy compartment with sofa & fold-out table by day (above left), converted by your steward while you're at dinner to an upper & lower berth at night (above centre). There's a small en suite washroom with toilet, washbasin & shower. UK-style electrical sockets allow you to recharge your camera, phone or laptop. 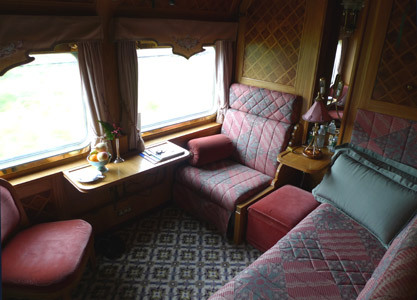 The train has a few Pullman Singles which are similar, but without an upper berth. The Man in Seat 61 says: "The room is comfortable but compact, pretty much like a luxury version of regular railway sleeper compartment, in fact. These photos give a good idea of the full size of the compartment, so if you'd like more space (or want to avoid climbing a ladder to an upper bunk) it may be worth the extra for a Stateroom." 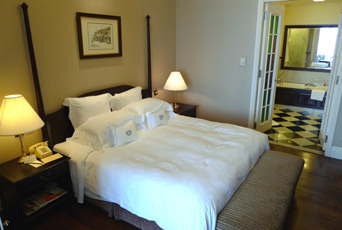 Option 2: Staterooms. A Stateroom gives you double the floorspace of a Pullman, with a sofa, armchair and freestanding chair by day. 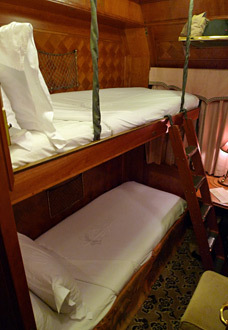 While you are at dinner, the steward converts your compartment to two lower beds (so no ladder required!). 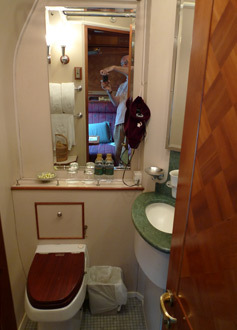 As in a Pullman, there's a small en suite washroom with toilet, washbasin & shower, and UK-style sockets allow you to recharge your camera, phone or laptop. The Man in Seat 61 says "You'll appreciate the extra room if you upgrade to a Stateroom. 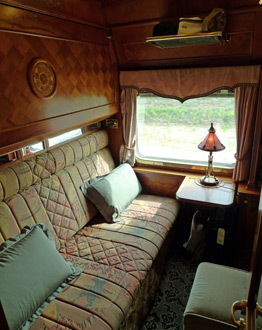 It's a really nice layout - One of you can lounge on the sofa during the day, or you can each have a seat next to the double windows, which are better for watching the scenery, too, compared to the single window in a Pullman." Option 3: Presidential Suite. This is the E&O's best accommodation. 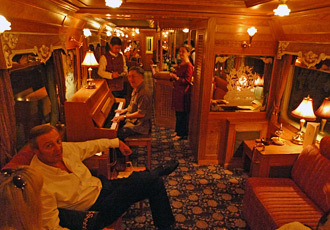 There are just two Presidential Suites on the train. Sofa, chairs and table during the day, it converts to two lower beds by night, in a similar arrangement to the Stateroom shown above. There's a small en suite washroom with toilet, washbasin & shower. The Man in Seat 61 says: "The Presidential suites are slightly bigger than a Stateroom, and the en suite is fractionally bigger too. But personally, I think I actually prefer the cosier but still relatively spacious Staterooms, with their sofa & armchair arrangement!" 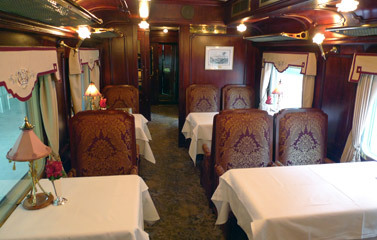 The Eastern & Oriental Express owns three dining-cars, of which two will be attached to any given departure. 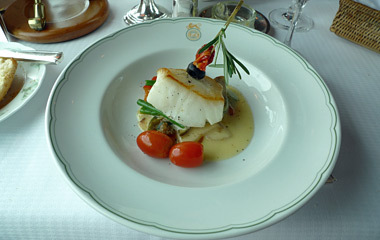 There are usually two sittings for lunch and dinner, at 12:00 or 14:00 for lunch and 18:00 or 21:00 for dinner, although times vary. 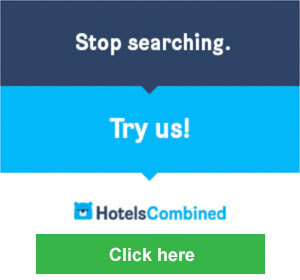 You can choose your sitting at the beginning of the journey, or make a request when you book. 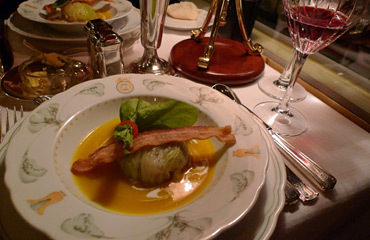 Food is included in the fare, although drinks are extra, expect a bottle of wine to start at about US$40. 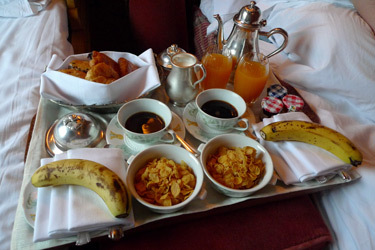 The currency used on board is US dollars, although credit cards are accepted. One of the nice things is that they give you a different table reservation for each meal, so you share a table with different people each time. It's a very sociable experience! 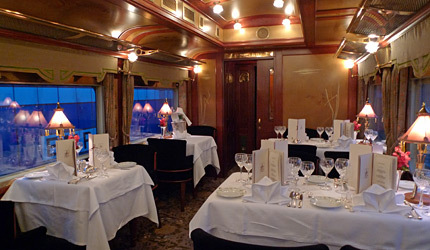 You may also get to eat in both of the dining-cars, each with its own decor. 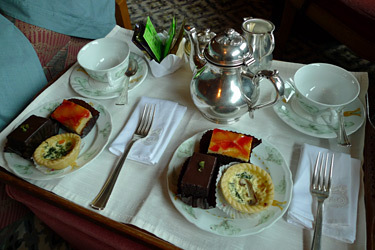 Afternoon tea is also served in your compartment, with a selection of cakes or pastries. 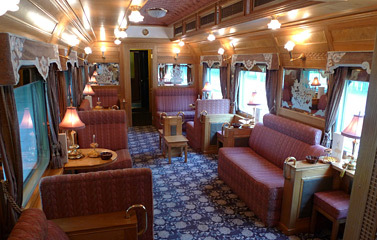 Observation car lounge: With a colonial tea-planter theme, complimentary tea, coffee and nibbles are available in the observation car's lounge at the rear of the train. You can always dash out to the observation deck with your camera when you spot something interesting outside! 17 January; 1, 10, 19 February, 1, 10, 19 March; 1, 23 April; 2, 13, 22 September; 2, 12, 25 October; 1, 14, 23 November; 2, 21 December. 2, 24 January; 5, 14, 23 February; 5, 14, 24 March; 5, 27 April; 8, 17, 26 September; 8, 20, 28 October; 9, 18, 27 November; 8 December. Northbound timetable: Singapore Woodlands Checkpoint depart 15:00 day 1, Kuala Lumpur historic station 01:00, Kuala Kangsar 08:00-10:15 day 2, River Kwai Bridge arrive 10:45 day 3, Kanchanaburi depart 12:00 day 3, Bangkok arrive 16:15 on day 3. Southbound timetable: Bangkok depart 17:50 on day 1, River Kwae Bridge arrive 08:30 day 2, Kanchanaburi depart 11:00 day 2, Kuala Kangsar 13:45-16:20 day 3, Kuala Lumpur 22:30-00:15 day 3/4, Singapore Woodlands Checkpoint arrive 10:30 on day 4. 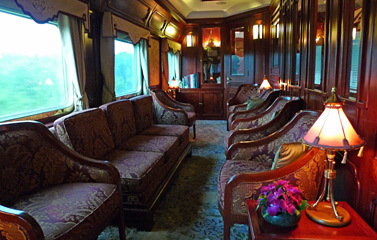 The fare from Singapore to Bangkok or vice versa by Eastern & Oriental Express starts at around $3,100 per person in a Pullman or $4,400 in a Stateroom or $7,250 in a Presidential suite, assuming two people travel together and share. 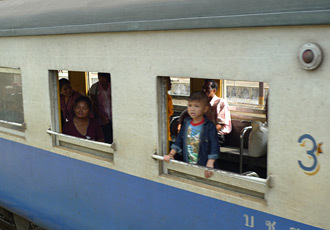 For solo travellers, fares start at around $5,440 with sole occupancy of a Pullman compartment. Option 1, direct with Belmond: You can check dates, prices & availability & buy E&O tickets online at the official Belmond website www.belmond.com/eastern-and-oriental-express. Option 2, custom-made arrangements with Railbookers: It's worth calling train travel specialists Railbookers, as they can often get good rates for the E&O and can arrange other trains, hotels, transfer & flights to create a tour. 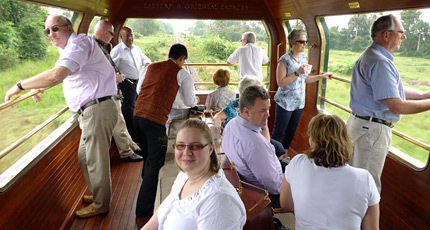 Option 3, escorted tours: If you'd prefer to go on an escorted small group tour, call Great Rail Journeys on 01904 527120 (+44 1904 527120 from outside the UK), they offer inclusive escorted tours to Malaysia and Thailand, using the Eastern & Oriental Express. Day 1: Departure from Singapore Woodlands station. At Woodlands Train Checkpoint, you pass through Singapore exit formalities and Malaysian immigration checks, head onto the platform & board the train. 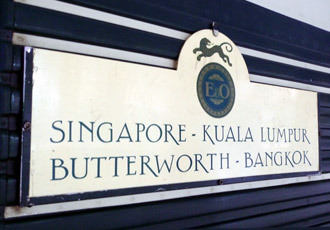 The photo above left shows the E&O boarding at the original downtown Singapore station, the photo above right shows the train at Woodlands, where it now starts. 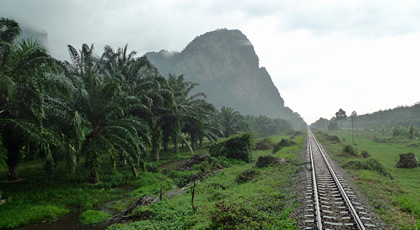 Above: The E&O passes through a stretch of Malaysian jungle. 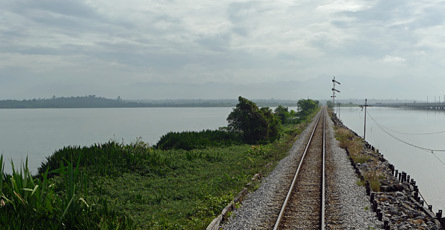 Above: The train crosses another causeway across a lake. Note the British-style semaphore signals in the background. Day 2 morning: Butterworth & Penang... 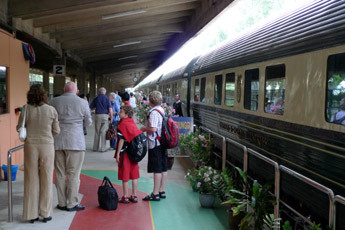 The Eastern & Oriental Express arrives at Butterworth, the railway station for the ferry to Georgetown on Penang island, once capital of British Malaya. 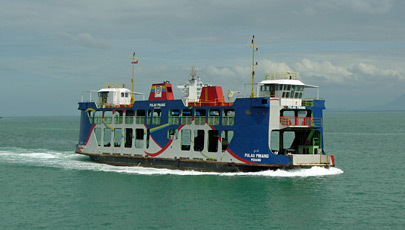 At Butterworth E&O passengers alight and board coaches which cross over to Penang island on the ferry. There's a ferry every 10 minutes and the crossing takes just 15 minutes. 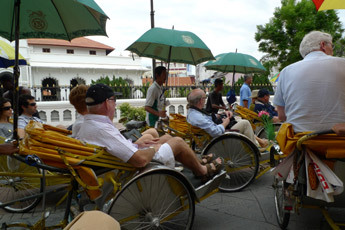 In Georgetown, guests are treated to a trishaw tour (above right). You're back on board the train at Butterworth in time for lunch to be served. 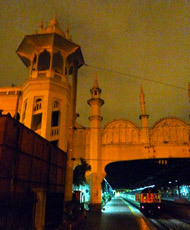 Since 2016, the stop at Georgetown/Penang has been replaced by a stop at Kuala Kangsar, see https://en.wikipedia.org/wiki/Kuala_Kangsar. 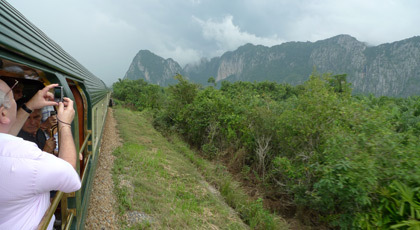 Day 2, afternoon: The E&O crosses into Thailand at Padang Besar. This time, you can remain on board the train. 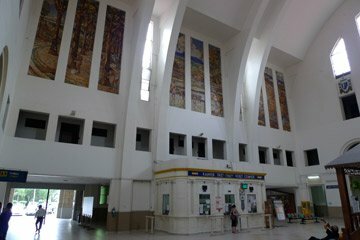 Day 3 afternoon, arrival in Bangkok at the wonderful Italian-designed Hualamphong station, opened in 1916. 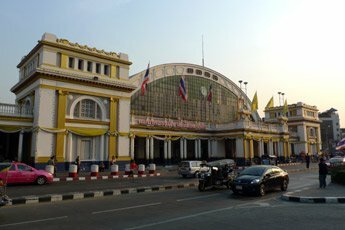 There's more information about Bangkok Hualamphong station on the Thailand page. 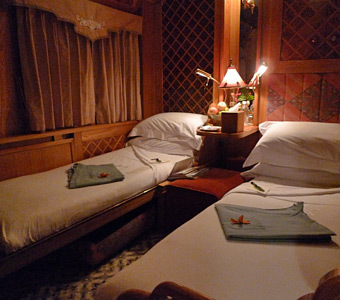 Chiang Mai: Several daily sleeper trains with 1st class 2-bed sleepers and a fast daytime railcar link Bangkok with Chiang Mai daily, see the Thailand page for details. Vientiane & Laos: A comfortable scheduled sleeper train with 1st class 2-bed sleepers links Bangkok with Vientiane every night, see the Laos page for details. 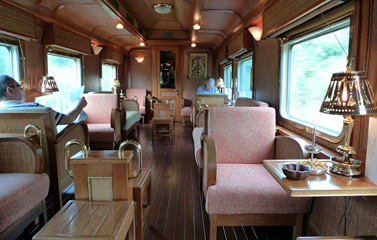 Cambodia: For onward connections by local train to Aranyaprathet then bus to Siem Reap (for Angkor Wat) & Phnom Penh, see the Cambodia page. 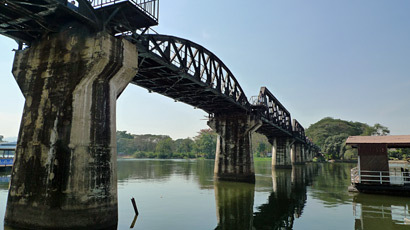 River Kwai: If you want to return to the River Kwai to explore the area in more depth, there are two daily trains from Bangkok, see the Bridge on the River Kwai page. 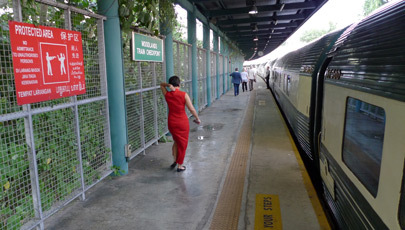 Phuket: Overnight air-conditioned sleeper trains link Bangkok with Surat Thani, for an onward bus connection to Phuket. See the Thailand page for details. 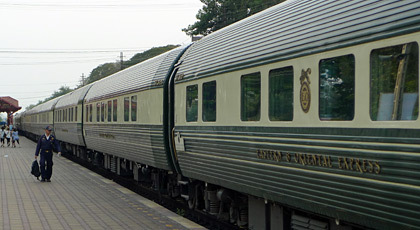 Ko Samui: Overnight air-conditioned sleeper trains link Bangkok with Surat Thani, for a ferry connection to Phuket. See the Thailand page for details. 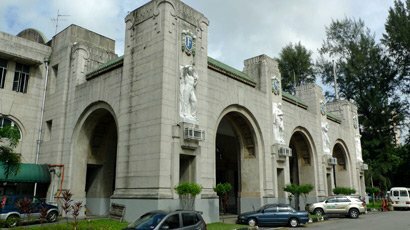 Returning to Penang, Kuala Lumpur & Singapore: there are daily scheduled trains between Bangkok, Butterworth (Penang), Kuala Lumpur & Singapore, see the Malaysia page for details. 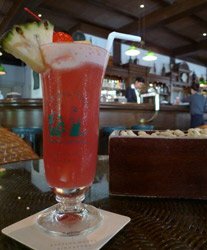 Raffles Hotel, a little colonial island in a sea of modern high-rise blocks. 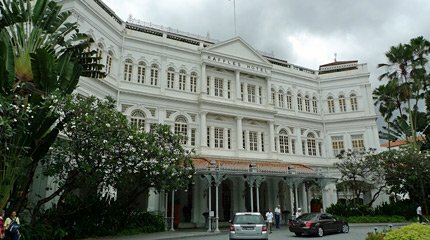 (Left) Raffles hotel lobby. 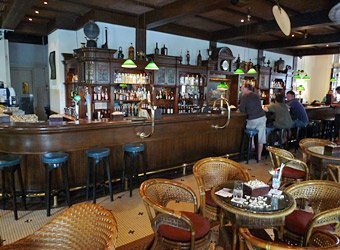 (Right) Raffles' Long Bar: If you can't afford a room, at least down a 'Singapore Sling' in the famous Long Bar. 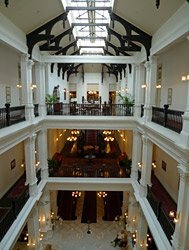 It was originally located in the ballroom, a single-storey extension built in 1915 on the front of the hotel where the driveway is now. The Long Bar was first moved from one side of the ballroom to the other, then moved again in 1989 when the hotel was refurbished and the ballroom demolished. It's now located at the rear of the hotel in a modern block constructed in 1989. 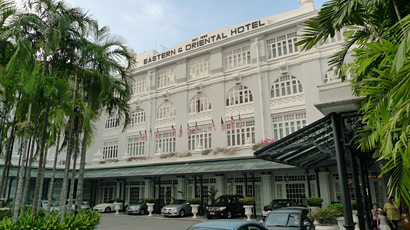 If you like Raffles, try another of the Sarkies brothers' hotels, the historic Eastern & Oriental Hotel in Georgetown, Penang (no direct connection with the E&O train, as far as I know) , equally historic but a bit cheaper at around £150 for a double room. It's grand, well-located with gardens to the rear backing the sea. 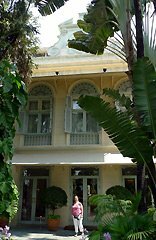 Known by locals (and taxi drivers) as plain 'Oriental Hotel', this is Bangkok's oldest and grandest hotel, located on the banks of the Chao Phraya River. Outdoor restaurant tables sit alongside the river, and they do a great evening buffet. Most of the rooms are now housed in two huge modern tower blocks, but hidden behind palm trees in the courtyard is the diminutive original block, today restored to within an inch of its life and housing just a few of the more expensive suites.